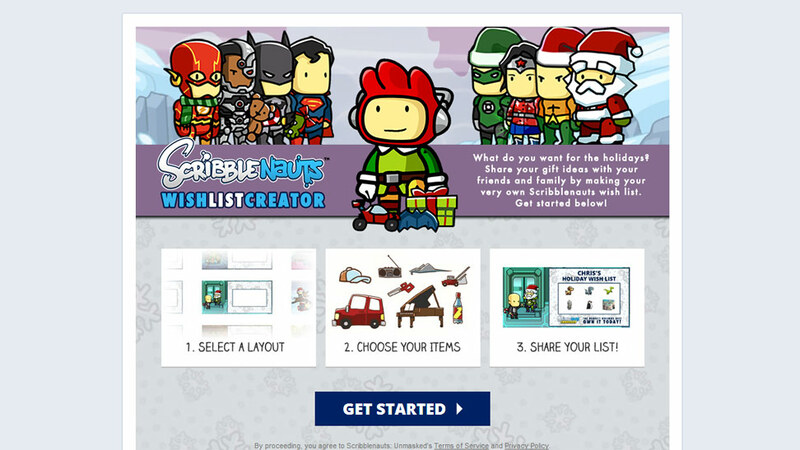 Scribblenauts Unmasked is the latest video game in the Scribblenauts series. To tie in with the holidays, Deep Fried built a “Wish List” maker to allow Facebook users to create their own holiday wish list. 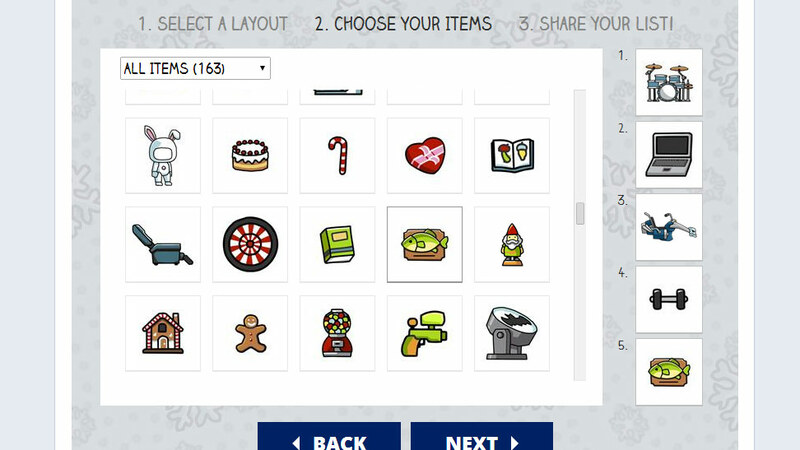 After selecting a layout and the items that they wanted, users were then able to download their wish list and share it on their timeline for their friends to see.